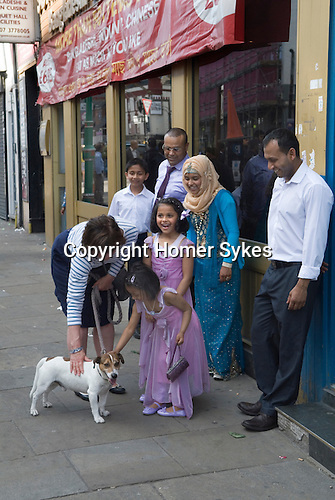 Muslim family London, children, young girl being encouraged to touch a dog belonging to a white woman. They are happy and smiling. She has never done this before.